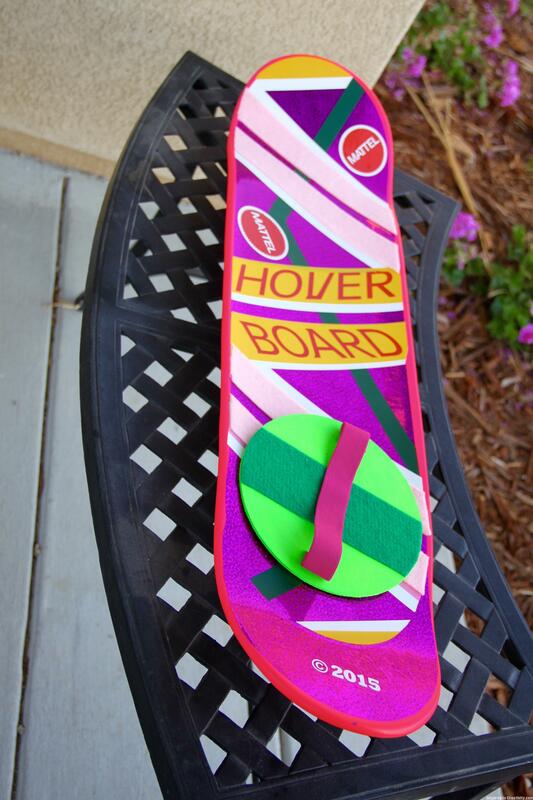 To celebrate the future happening today, I decided to create a Hoverboard! I covered the pink parts with felt. 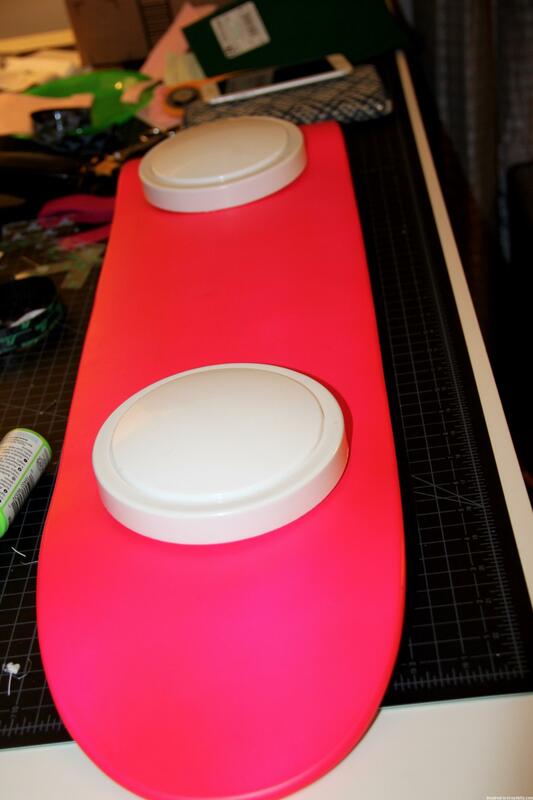 The foot stand is made from a round plywood circle painted and then a piece of felt was added. It is attached to the deck through the holes with elastic that was weaved through and stapled to the plywood. The foot strap is a piece of elastic. The bottom of the board is just stick on puck lights. 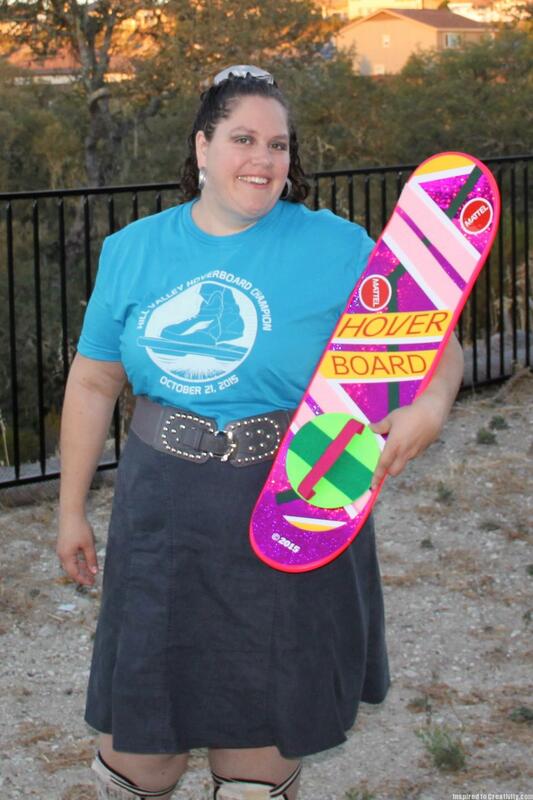 To have a full look I dressed up like a hoverboard champion and wore this fabulous shirt from Rhett & Link. 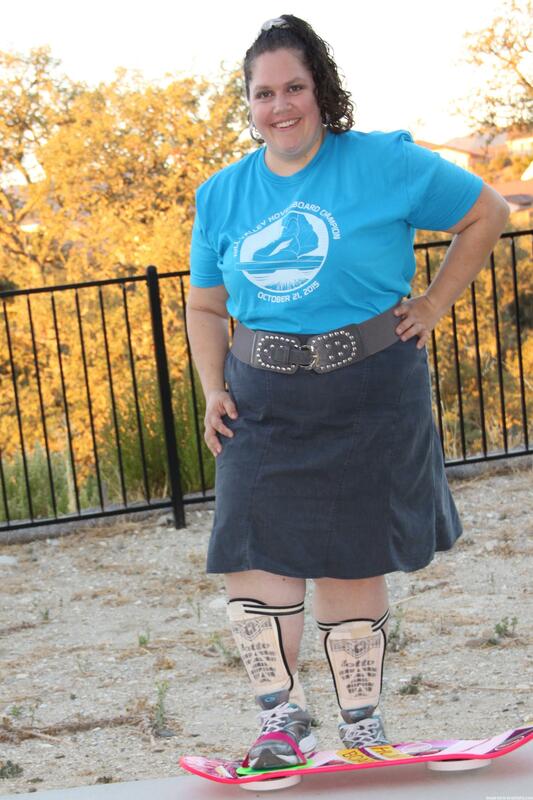 I also quickly sewed a scrunchie to complete my look.